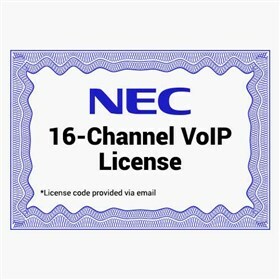 The NEC 1100082 is a VoIP license, which is used to expand upto 16 channels for your business phone system. Maximum 32 ports are allowed per system. The NEC 1100082 has many exciting features for users of all types. The NEC 1100082 is sold as a Brand New Unopened Item.